Click Here for an ABATE of California Membership Application! PLEASE PASS THIS ALONG TO FRIENDS & FAMILY! ABATE Local 6 has opened an account with San Diego Blood Bank which is accessible to members, and non-members. Now you can donate blood to be used in emergency situations. These donations will be "banked" for future use by ABATE Local 6 members, or ABATE Local 6 recommended uses, for emergency situations. Go to any local San Diego Blood Bank and mention the Code "AL06" when checking in! Any problems or questions please contact Monica Smith at 619-258-5431. 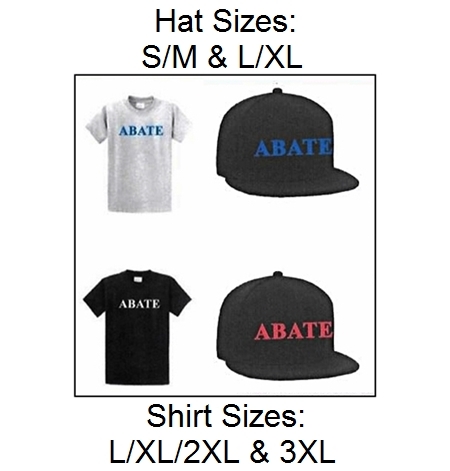 ABATE T's & Hats Now Available in Limited Quantities! Contact Moe Giacalone for Pricing & Availability. for Local 6 news & updates, and to post your M/C related events. If you ever get a ticket for loud pipes, helmet issues, or anything that you think you do not deserve, contact us, mail, or email us a photocopy of the ticket to us. We will look into all your options, and do our best to help you. Have any questions regarding current political action? Contact us and we'll try to help you understand what's happening, and why. Our email list has been set up as an efficient, and effective way, for the Officers of ABATE Local 6 to communicate with the ABATE Local 6 membership, and other interested interested parties. It is a private email subscription service, supplying new and updated information regarding your rights, safety, local, state and federal legislation, and other topics, that we believe will affect and/or interest you, as a motorcycle rider here in the San Diego, California area. We love to hear your feedback, however, if you feel the need to respond to any of the emails we send out, we ask that you respond only to the sender. Please do not use the 'Reply to All' option. Your cooperation in this matter is greatly appreciated. Thank You! FYI - We also have public forum on Facebook (http://www.facebook.com/abatelocal6) where you are welcome to post your thoughts, suggestions, and feedback. 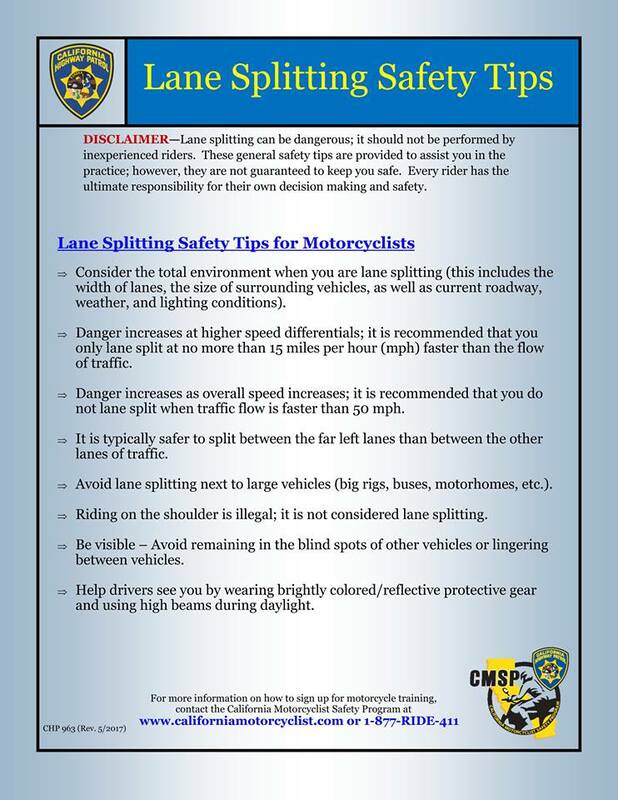 NOTE: The original guidelines have been removed from the CHP Website due to complaints that the CHP might be liable in certain situations related to lane splitting accidents. Remember, these are still temporary for now. Click Here to view ABATE of CA, Local 6 News Archives.